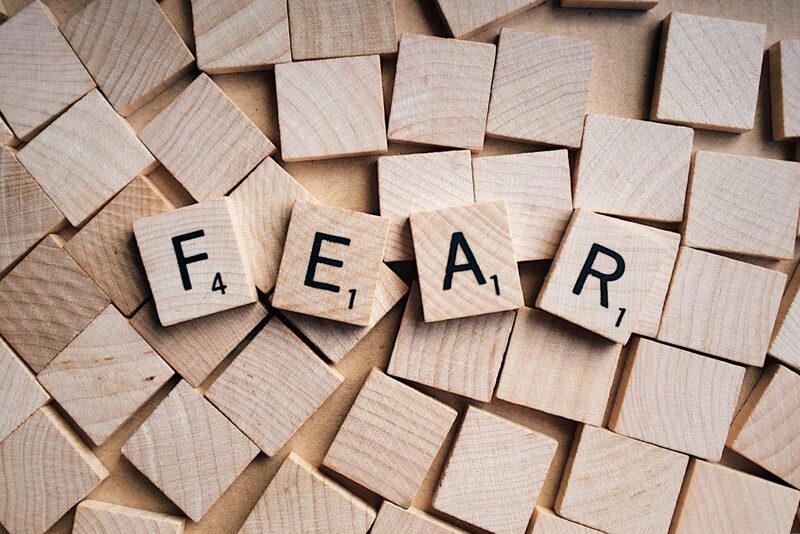 Fear comes in many forms; fear of heights, fear of the dark, fear of spiders, but fear of change and the unknown can leave us feeling just as paralysed, and unable to move forward with our dreams and goals. We can be so enthusiastic about starting a program, only to drop out after a couple of weeks, or lose that first flush of excitement when the going gets tough. Change is full of challenges that are hard to achieve, and the end result can be scary in itself if you are not entirely sure of the reasons WHY you are committing to it. We can be our own worst enemy when it comes to moving forward to achieving the life we want. We put up roadblocks and self-sabotage through negative self-talk, whether out of fear of change and the unknown, lack of self-confidence or through feeling guilty for being selfish. There is also the notion that if we don’t try then we can’t fail, or we put so much onto our plates that failure is almost certainly bound to happen and we feel as though we have no control over it. But if you never allow yourself the opportunities to try to reach your goals, to do something for yourself, then you also never experience the growth that can actually come from making mistakes. Why it is so easy to say “yes” to others and yet so hard to say it to ourselves? Habitually taking on more than you can realistically handle can leave you feeling frustrated, pressurised and anxious. Learning to say “no” to requests made of you is an important part of taking control of your life. Equally, learning to say “yes” to yourself allows you to explore new and exciting chapters of your life – free from the self-imposed guilt you would normally experience. Prioritising yourself, and looking after your physical, mental and emotional health, should be high on your to-do list every single day. If you don’t do it – who will? And if your health fails – how will the other things get done? Schedule regular diary appointments just for you – for exercise, for a massage, meeting friends, taking up a new hobby or studying for a new career. Take a lunch break every single day and make the most of that hour – whether at work or at home. Break your fast mindfully and slowly, enjoying the food that you are eating and appreciating every mouthful. Taking the time to re-energise and re-focus breathes new life not only into you but your whole world, improving relationships and giving a new perspective to the way you live your life and inspiring you to reach your dreams. Self-Sabotage – this is a self-imposed behaviour that gets in the way of your goals. It often presents itself in the form of procrastination, excuses as to why you can’t do x,y,z, and even more deliberate acts such as eating a whole packet of biscuits when you are trying to reach a goal weight. Self sabotage often comes from a place of low self-esteem; you believe that you aren’t worthy of something, or that you are incapable of success and it becomes a self-fulfilling prophesy as you stop yourself from achieving it by standing in your own way. Feeling that you are in control by hampering your success can feel easier than the shame of failing. Blaming the actions (or inactions) of your behaviour takes the focus off the fact that you didn’t step up to the plate. If you have felt inadequate your whole life then that feels familiar and so success can feel threatening, resulting in you doing everything in your power to actually prevent your progress. It sounds strange, but sadly this is quite common. Because failure is often seen as a negative we work hard to avoid it, but failure can actually help us, by offering up a different viewpoint, a learning curve that we can build and improve upon. 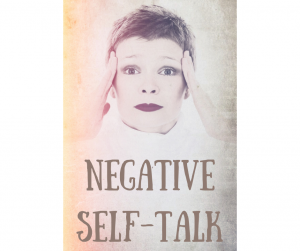 Turning your negative self-talk around can be hard, but there are ways to help yourself. First it is critical to recognise your self-sabotaging behaviour; ask yourself whether you consistently have goals that you never achieve, or feel you are always “failing” at things. Do you procrastinate on a regular basis? Start to monitor any negative feelings that you have towards yourself and explore why you are feeling this way. Challenge these behaviours by diving deeper into the reasons behind them – for example have you always allowed others to put you down, and therefore you have started to do the same to yourself? Positive affirmations are a great tool that can be implemented every day to help change the voice inside your head from a negative one to a positive one. For example; writing down, and saying, “I am strong and capable and I can succeed in my dreams” can be a positive way to start your day. Ending the day with another affirmation on how well you did and how you can improve tomorrow is another tactic that can be part of your toolbox towards growing success. Starting with small goals is also a great way to build your confidence and work towards the bigger picture. How are YOU overcoming the roadblocks in your life?